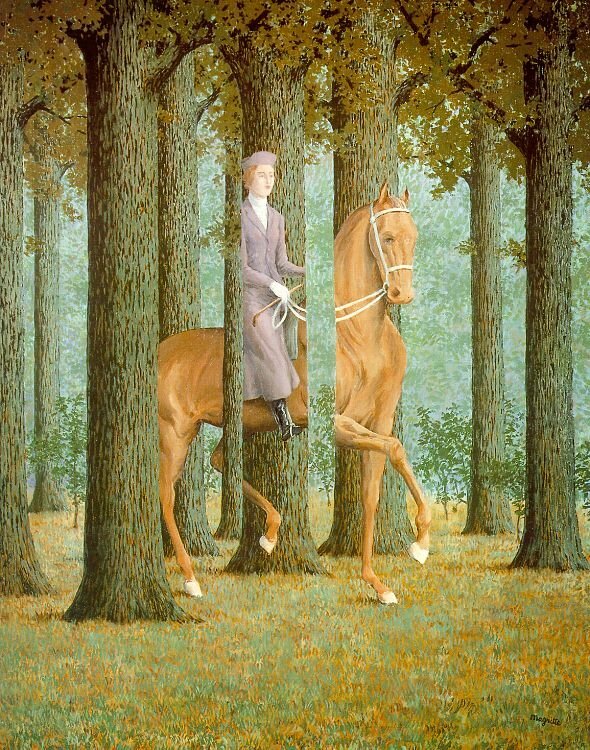 One of surrealist painter Rene Magritte’s cleverest paintings, Carte Blanche, is of a rider in a wood, but all mixed up with the trees. I had a shot at playing with the same effects in the earlier Halloween post. 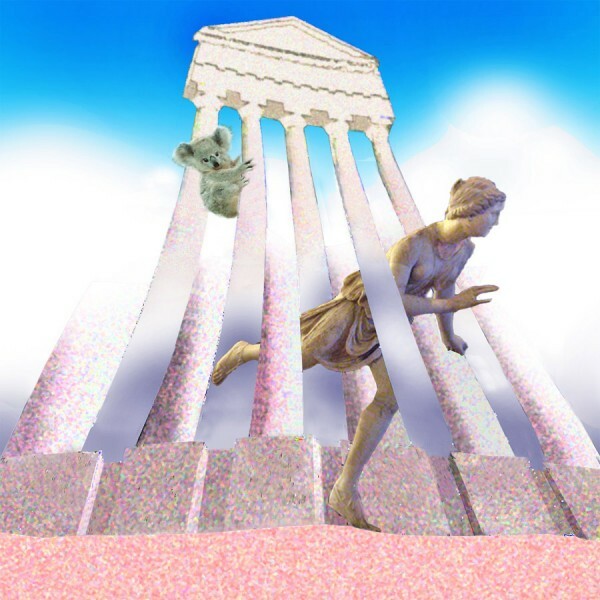 This time, I’ve tweaked up the complication with an impossible figure/ground reversal half-way up the columns, (in the manner of the impossible fork illusion – see our earlier post Outlines, objects and apertures). A while back I tried out a similar figure/ground scenewarp in one of the picture pairs for an optical illusion cartoon story, Opticaloctopus.